“Deck Your Halls” with Kool Breeze will be held here on Thurs, Nov 22 at 7pm. 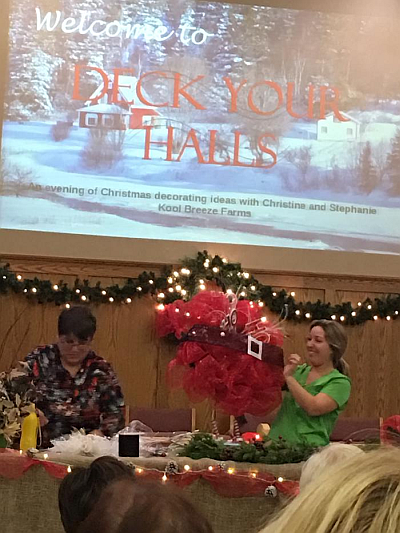 Join us for an evening of fun and decorating ideas, with door prizes and refreshments! Tickets $12 and available in the office.